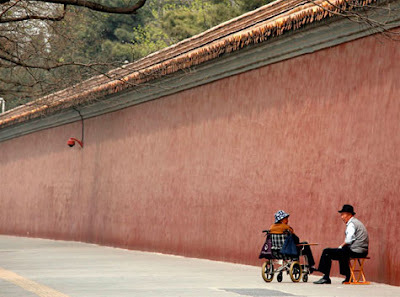 An elderly Chinese couple sit on the footpath located outside the walls surrounding the Forbidden City in central Beijing. Just the title "Love"...inspired this response. "cause it needs a place.